Google has banned most link building techniques, but creating quality, link-worthy content is not only allowed but strongly encouraged. Content is a very broad term and can include blog posts, news articles, email, podcasts, video, photographs, quote images, infographics, and other media. Content marketing is much more than just a method for improving search rankings. It can be used for branding, to educate, to position oneself as an authority in one’s field and more. But it does also improve search rankings. The content can include links to existing pages on the website and those links can improve the search rankings for those pages. If the content is good, people will link to it. Those links help to improve search rankings. If the content is good, people will share it on social media. Social media is another factor in search rankings. There are a lot of media-specific websites that will index or link to specific types of content. For example, news articles may be linked to by other news sites and videos will get indexed and linked to in video search engines. There are sites that list podcasts, sermons, infographics and how-to videos as well. What type of content is going to be created? Who is going to create it? How often will new content be published? Where will it be shared (what sites or social networks)? At OurChurch.Com, we believe content marketing is one of the most effective ways to improve search rankings, so it is a key component of our Progressive SEO Management services. 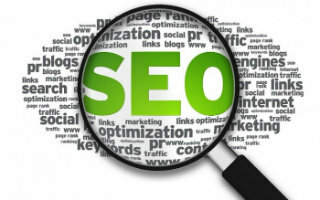 What are your thoughts on content marketing as an SEO strategy? What if any content are you creating on a regular basis and what affect has it had on your search rankings? Excellent article. Nowadays SEO plays a significant role in every part of the marketing, and the ways to improve the search engine ranking is a must as you mentioned. Nailed it, Paul. Keep up the Good Work. Looking forward to seeing more. This is a great post about content marketing. I started my studies in SEO for 4 months, I have 60 articles in the blog, I have been practicing daily the marketing of content in the niche of the jobs. I hope I can have some results soon.